The Polycom RealPresence Centro brings humans to the centre of collaboration. Changing the way we collaborate, technology no longer needs to be a distraction in the meeting room – the Polycom RealPresence Centro provides a seamless, empowering experience that enables engaging, intuitive interaction in any meeting space. Designed for small collaborative spaces, group huddle spaces and classrooms, the Polycom RealPresence Centro draws people together into a collaborative circle, giving everyone the ability to be part of the conversation, no matter where they are located. The RealPresence Centro is the perfect solution for consultation and brainstorming sessions, and is well suited for Creative Design & Architecture collaboration, portfolio reviews, healthcare consultations and higher education, where tables or chairs can be positioned around the central point and discussions can flow naturally. Intelligent 360 degree camera captures everyone in the room, with no “seams” in the picture. The Polycom RealPresence Centro provides for flexible workspaces, allows everyone to be easily seen no matter where they are in the space. Leveraging Polycom’s envied HD Voice quality, the RealPresence Centro captures even the most softly spoken participants, and every inflection is heard with uttermost clarity. The RealPresence Centro supports open, standards-based interoperability giving you the flexibility to connect with anyone, on any device. Plus, as has come to be expected from Polycom, the Centro provides native interoperability with Microsoft Lync and Skype for Business, extending the benefits of your chosen Unified Communications Platform investment. See the documents tab to find out more about the Polycom RealPresence Centro, or take a look at the Polycom Manufacturer page to find out more about new products, partnerships and solutions for collaboration with Polycom. Contact us to arrange a demonstration or to find out more! VideoCentric’s partnership with Polycom is built on a strong and well established relationship built over many years of sales, integration, solution development & infrastructure support. VideoCentric are fully accredited with Polycom and hold certifications including Video Conferencing Solutions, RealPresence Infrastructure and Video Border Proxy (security). 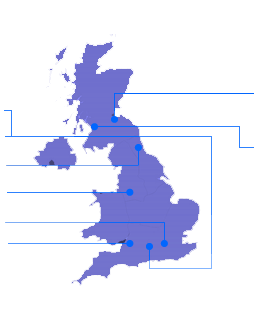 VideoCentric have specialists fully trained in Polycom Sales and Technical tracks, Polycom RealPresence and Polycom Video Networking. VideoCentric have scooped top Polycom awards for their extensive support and services offered to customers. VideoCentric’s demonstration suite includes both the Polycom Group Series and Polycom HDX series for simple side by side comparison. 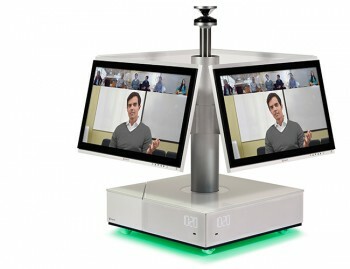 We also have the Polycom RealPresence Infrastructure integrated with Microsoft Lync 2010, 2013 and Office 365 in our lab & interoperability testing suite, so we can fully understand the integration between each platform, the solution features & downfalls & how to fully support each solution deployed, whether on-premise, in the cloud or as a hybrid.